8BitDo is known for its retro Nintendo-styled gaming controllers. 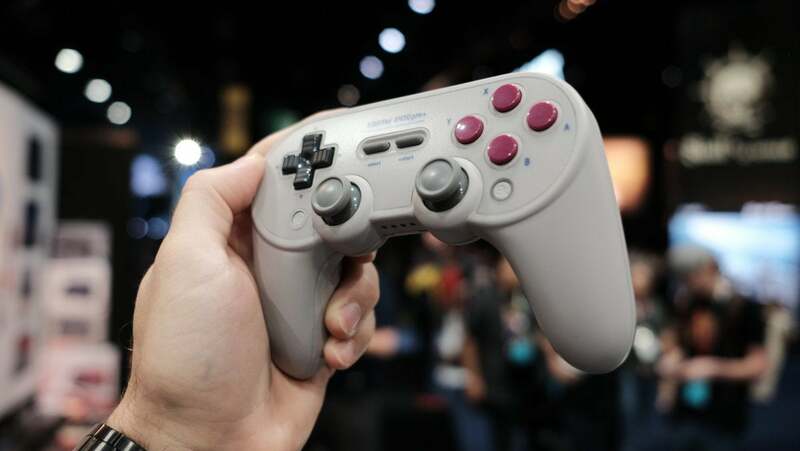 The company announced a barrage of updates to its lineup at E3 2018, along with an all-new (but still classic-feeling) gamepad. Like the previous versions, 8BitDo’s refined bluetooth controllers look like they’ll be great companions for PC or Mac gamers who like to emulate the classics, or for people who just want a solidly constructed portable gamepad on the go. The SN30 Pro+ is new to 8BitDo’s lineup and the company’s largest controller to date, adding handles and full-sized triggers to the fantastic SN30 Pro from last year—a welcome change in my large hands. 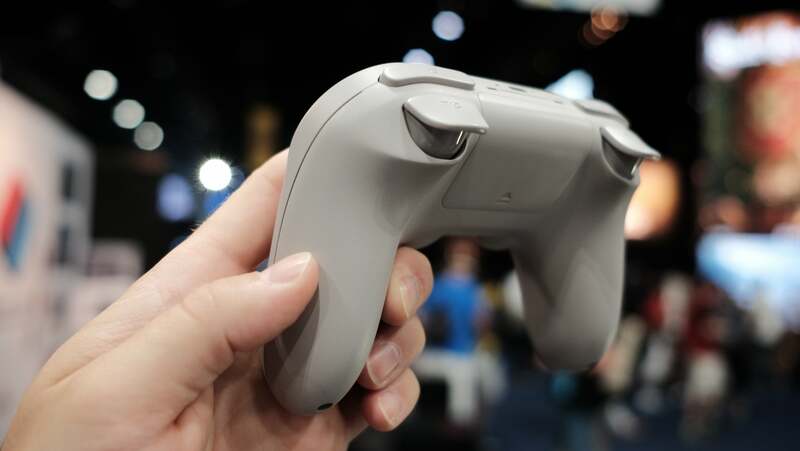 It felt similar to a PlayStation controller when I checked it out on the E3 2018 show floor. Unfortunately, 8BitDo only had a prototype to show off, so I couldn’t get a feel for the new triggers in action to see just how mushy they are. The SN30 Pro’s internal rechargable battery has also been taken out. Instead, the SN30 Pro+ runs off two AA batteries, with a rechargable pack coming sometime in the future. From the backside the SN30 Pro+ looks a lot like a Playstation controller. 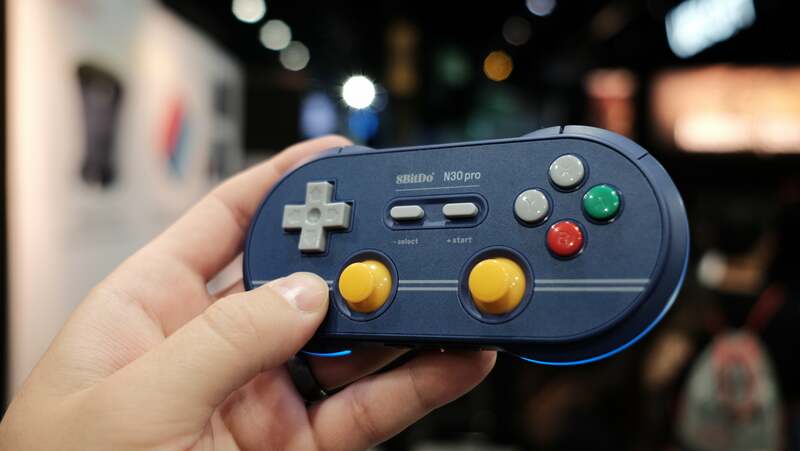 This will be the company’s first time making a full-sized controller, but given 8BitDo’s track record so far, the appeal of retro color schemes and compatibility with every major gaming platform (even MacOS) could help the SN30 Pro+ stand out from the crowd. 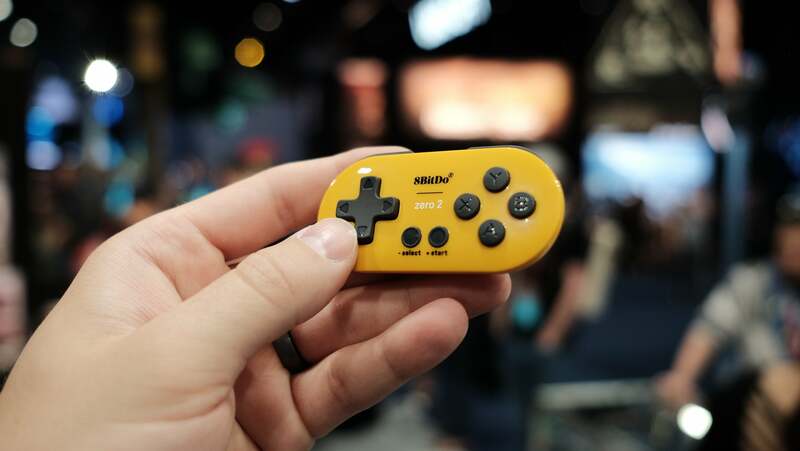 The next major product 8BitDo was showing off was the sequel to its keychain-sized controller, dubbed the Zero 2. 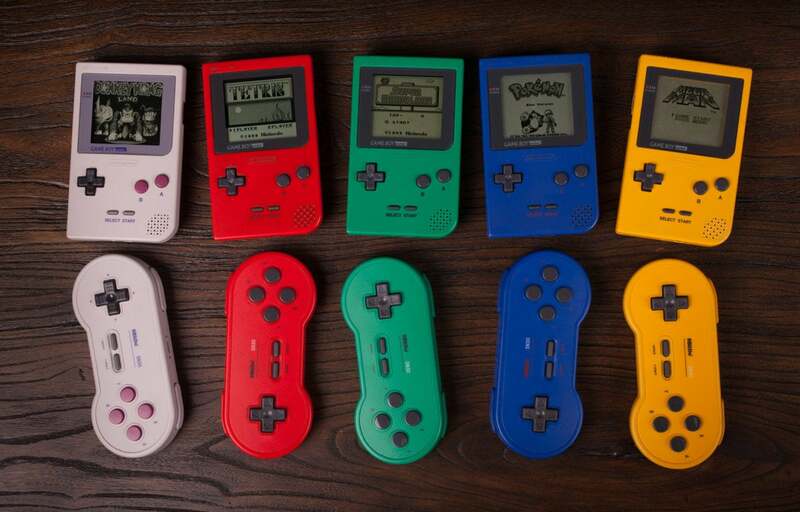 It’s an almost microscopic version of the SN30 that features bluetooth connectivity and motion controls in a variety of bright Game Boy- and Game Boy Pocket-inspired colors. I never tried the original Zero, and the Zero 2 I held at E3 was a prototype, so I’m curious to see just how practical it is to game on such a small device. The Zero 2 sure is tiny. This update to the N30 Pro brings most of the same features found in the SN30 Pro, including rumble, a new button layout for pairing, motion controls, and a USB-C charging port. It also features loads of new design schemes, my two favorite being Game Boy and Gamecube styles that get me reminiscing—what 8BitDo is good at! Unfortunately all of the problems I found in the original N30 Pro remain, most notably the smaller thumb sticks and side-by-side shoulder buttons. The N30 Pro 2 is a serious upgrade from the original—but its design is still far from perfect. The last updates to cover are only cosmetic. The SN30 and the SN30 Pro each have some new color schemes. The SN30 comes in five new super-vibrant hues, each inspired by classic Game Boy Pocket colors, while the SN30 Pro is getting those as well as an original Game Boy design scheme. It’s interesting to see 8BitDo start to mix-and-match colors and designs across various Nintendo consoles. Super Nintendo controllers featuring Game Boy Pocket colors?!? Will the company ever come out with Sega themed controllers? A spokesperson for 8BitDo said they’ve heard your feedback on the subject and are always looking into new ways to serve their customers, so keep your finger crossed Sega fans!